In recent years, the special needs of physically challenged and handicapped travelers have been recognized by the travel industry, and although much more must be done to assist these travelers, there are some useful websites for the disabled, and other resources to plan trips that include every member of the family. Reader Cheri Larson recently wrote to us, noting, “I researched and completed a list of 101 sites dedicated to special needs activities. I found great websites covering camps, music, dance, sports, special needs vacations, and other special needs info that anyone associated with the community would find useful.” Ms. Larson has indeed put together a comprehensive and practical special needs program guide that will help any family interested in programs for children with a variety of needs. Families with disabled members will find the Society for the Advancement of Travel for The Handicapped (SATH) site very useful, particularly the travel features from Open World, a magazine of destination ideas and medical tips for disabled and mature travelers. There are several other well-crafted websites on the topic of handicapped/disability travel, but one of the pioneers is the Access Able Travel Source which offers tours, resources and travel tales for the hearing- or sight-impaired and the physically handicapped, plus a newsletter and links to relevant sites. Other valuable online resources include Gimp on the Go and Emerging Horizons, homespun yet comprehensive websites managed by handicapped travelers, with their own publications. Most major Visitor & Convention Bureaus publish special guides for the mobility, hearing or visually impaired: Toronto With Ease and the Virginia Travel Guide for Persons with Disabilities are two excellent ones. With the increasing retirement rate among the Baby Boomer Generation, travel into the senior years has become big business, with many companies geared to meet the special needs of elderly, infirm, mobility-impaired and otherwise handicapped travelers. The flight booking engine, CheapFlights.com, has published an excellent Guide to Airline Policies for Travelers with Disabilities that will certainly make it easier to choose the most accommodating way to get to your destination. For cultural and adventure tours open to both the disabled and to children, explore the Specialty Travel Index magazine which has covered a myriad of trips around the world for more than 30 years. For a travel specialist who is knowledgeable about the accessibility features of resorts, cruise ships, and organized tours consult the ASTA site; visitors may search their database of members by specialty and by zip code. Most important, just get out there; the travel industry is ready to accommodate! And please share other helpful resources in the Comments section below. 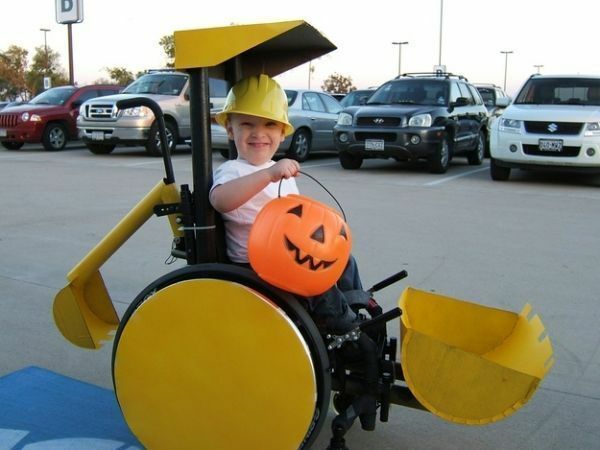 Photo of Boy in wheelchair with Halloween costume courtesy of Neatorama. Nice blog for finding tour operators and Agents.